REDUCED REDUCED REDUCED!!!! DEAL OF A LIFETIME. 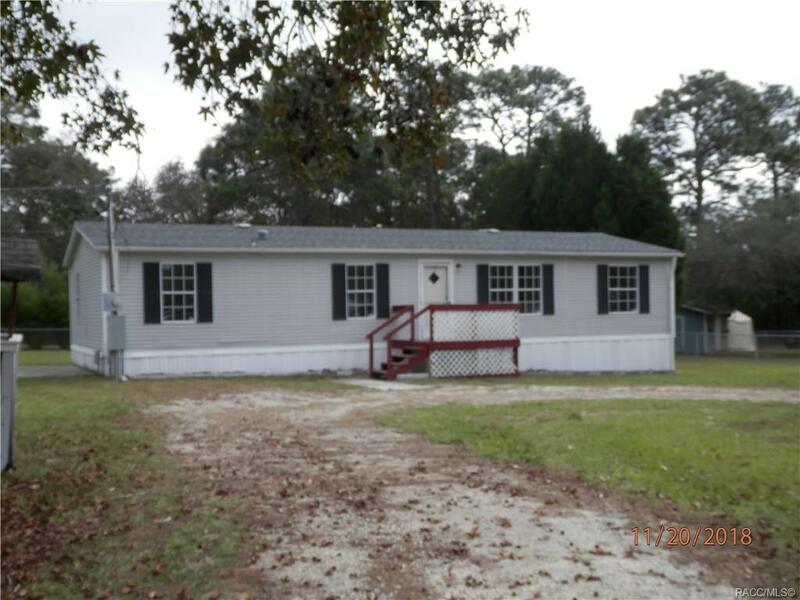 THIS COMPLETELY RENOVATED 4 BEDROOM 2 BATH MOBILE HAS EXACTLY WHAT YOU ARE LOOKING FOR. THIS HOME HAS ALL NEW KITCHEN CABINETS, NEW ROOF, NEW FLOORING, NEW SCREENING ON PORCH AREA, NEW SEPTIC FIELD, NEW INDOOR LIGHTING AND NEW BATHROOM UPDATES. THIS IS DEFINITELY A MUST SEE HOME LOCATED IN A VERY NICE AREA OF HOMOSASSA. QUIET NEIGHBORS AND 3 SIDES FENCED. CALL TO SCHEDULE AN APPOINTMENT TODAY. Directions: 19 South To Left On Green Acres Street To Right On Phial Point To Home On Left.